Baobab is a native of tropical Africa. This is regarded as the largest succulent tree of the world. The tree does not exceed 25 m in height but its trunk may attain a girth size upto 28 m giving it a very unique shape. Due to the unique shape, people in African villages believe that God planted this tree by mistake upside down. So at times it is also referred as “upside down tree”. 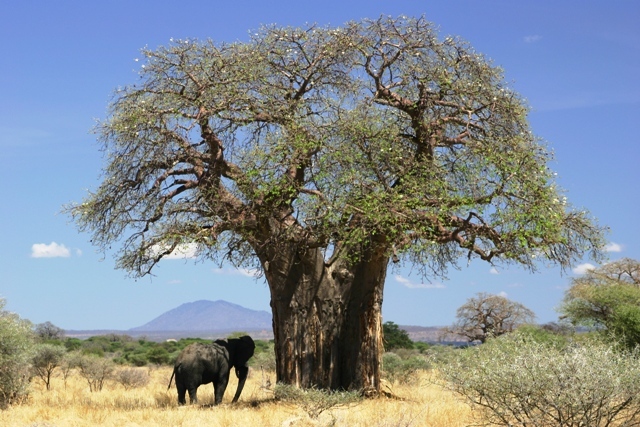 A baobab tree is said to live upto 200 years. 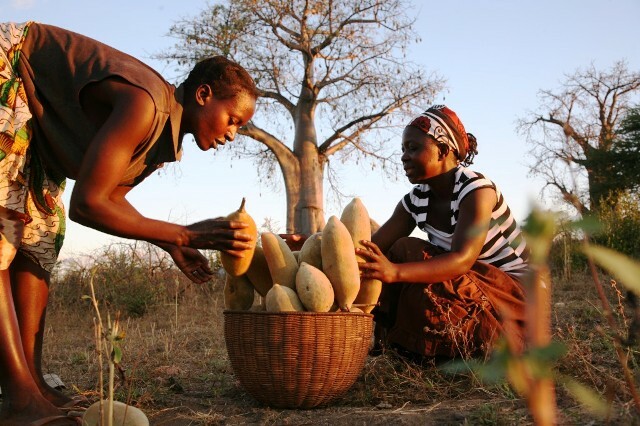 Fruit of baobab is a large, egg-shaped capsule (often >120 mm), covered with a yellowish brown hairs. The fruit has a hard, woody outer shell. It contains a dry, off white powdery substance inside covering the hard, black, kidney-shaped seeds. A very refreshing drink, tasting somewhat like lemonade, is made from this powdery substance. The powdery substance is rich in ascorbic acid. The baobab drink is also reported to contain medicinal properties and used by local people to treat fevers and other complaints. 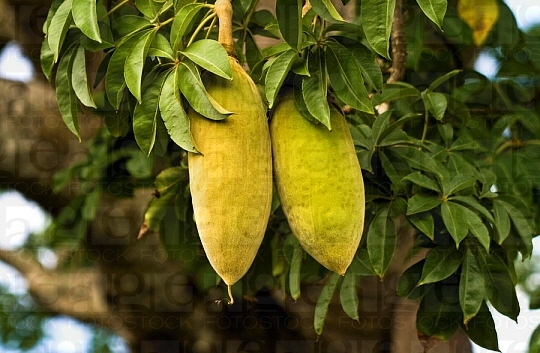 Baobab tree bears large, pendulous, fragrant white flowers which are up to 200 mm in diameter. The flowers emerge in the late afternoon from large round buds on long drooping stalks from October to December. The flowers fall within 24 hours, turning brown and smelling quite unpleasant. These flowers are pollinated by fruit bats takes place at night.